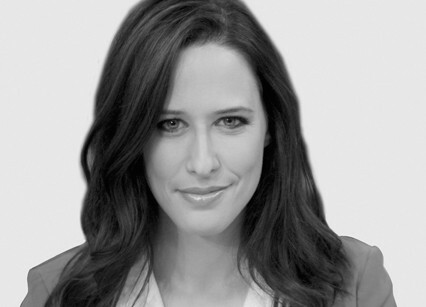 For almost 15 years, Yonit Levi has been the anchor of Israel’s top primetime news program on Channel 2, Israel’s most popular television station. After starting in 2002 as the program’s co-anchor, she made Israeli television history in 2007 when she was named its sole news anchor – the first woman in Israel to hold this position. Levi authoritatively delivers the day’s events to an obsessively news-hungry nation, night after night – no small feat in a society so highly polarized and vocal in its views. She has secured major interviews with a who’s who of world leaders, including President Barack Obama (who called her a “groundbreaking anchor”), President George W. Bush,President Bill Clinton, Secretary Hillary Clinton, Russian Prime Minister Dmitry Medvedev and British Prime Minister Tony Blair, as well as international icons such as Bill Gates and comedians Jon Stewartand Conan O’Brien. Levi has also repeatedly left her anchor’s chair to serve as Channel 2’s lead field correspondent covering major global stories including the past four U.S. election campaigns; the failed coup in Turkey (2016), the tsunami disaster in Japan (2011); the aftermath of the Rwandan genocide (1995); the Balkan wars (1998); and post-9/11 New York City. She has also reported from flashpoints closer to home: Israel’s wars in Gaza (2008, 2012 and 2014); the second Lebanon war (2006); and the peace talks in Sharm el Sheikh, Egypt (2005). And, of course, the always action-packed Israeli elections (2003, 2006, 2009, 2013, 2015).